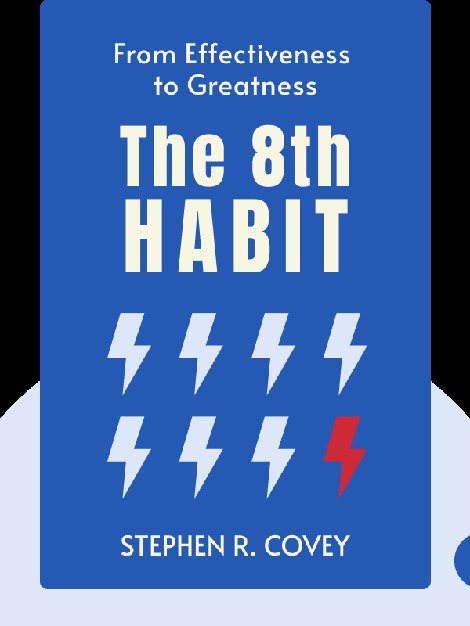 The 8th Habit (2004) helps you find your inner voice and thereby lead a more fulfilled life. Covey explains why we struggle to feel motivated and passionate (particularly in our working life) and how we can go about changing that. 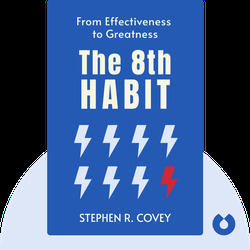 Stephen R. Covey co-founded and served as vice chairman of FranklinCovey Co. Over the course of his life, he was awarded 12 honorary doctorate degrees and wrote several books, including the bestselling The 7 Habits of Highly Effective People (also available on Blinkist), which Forbes listed as one of the top ten most influential management books ever. TIME magazine also included Covey in their list of the 25 most influential Americans.